Where Can I Find Authentic Blockout Curtains? Are you having trouble sleeping at night because of the extra lighting outside? Does your natural lighting create a glare on your television and computers? Do you want to reduce your room’s heat in the summer? Do you wish to save up on your energy bills? If you answer yes to any of these questions, then you should consider finding blockout curtains. 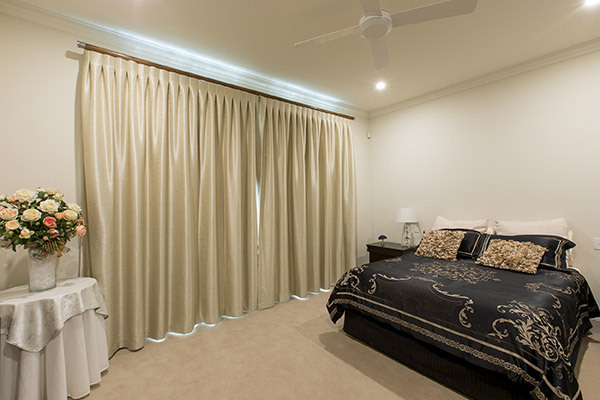 Special curtains like blockout curtains actually do not differ much from your standard polyester and cotton curtains. What these coated fabrics have are a few coatings of liquefied rubber. The more coats of rubber there are, the opaquer the curtain gets, and less light will pass through. Ordinary and uncoated fabrics are lighter and easier to wash and clean, but that’s about it. They still minimise light and heat from getting into your room, but blockout fabrics do that job better. They are not thick enough to completely absorb light and heat. Because of this, you will not be 100% free from all those bothersome glares, light and heat. Here are the reasons you should get blockout curtains. Reduce the electric consumption of your air conditioning and/or heating units to help cut down on your energy bills Sometimes, it is difficult for an ordinary person to identify if a curtain is blockout or not. It is true that the coated ones are thicker than the uncoated ones of the same fabric. But uncoated curtains can come in different thickness. For you to have the full benefits of blockout curtains, you should look for authentic ones. Online shopping sites such as eBay provide a convenient way to browse and buy furnishings such as curtains. You have the most options to choose from compared with the other places on this list. They even list them according to categories of your choice. You only need to access their sites, and you are one step away from buying them. The main problem with buying online is that you can only see a few pictures and a description. You will have to wait for them to arrive to check the quality and authenticity of your purchases. You can always return them if you are not satisfied with the products. To avoid getting the wrong curtains, you can buy them yourself. Shopping centres offer a wide selection of goods you can choose from. Going to the store personally may be a minor inconvenience. But it may be worth it if you find an authentic blockout curtain. Shopping centres, however, may pose another factor. You might fall victim to sales talk and false descriptions. You may still end up with a “blockout” curtain that is not actually coated. Where can you buy genuine blockout curtains? Where else but at specialty shops! Here, you will find exactly what you’re looking for. More importantly, you’ll also take sound advice with anything about curtains. Watson Blinds & Awnings is your one-stop shop for all the curtains and other window furnishings you need. We have been in the business for 50 years all across Canberra. For any enquiries, you may drop by at our location: 73 Wollongong Street, Fyshwick ACT 2609. We are open from Monday until Friday at 8:30 am to 5:00 pm, and on Saturdays from 9:00 am to 1:00 pm.